The sanakey basic FREE course is the perfect way to learn how to use your sanakey efficiently and effectively. Presented through easy to follow videos, you will be quickly applying your sanakey to all sorts of aches and pains. A Certificate of Completion is awarded by Chris Mortensen upon full completion of the sanakey basic course. View the sanakey basic FREE course, description below. 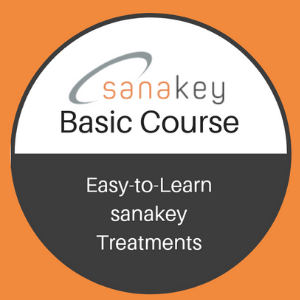 No credit card is required when signing up to access your FREE sanakey basic course. How do I access my FREE sanakey basic course? Congratulations on your purchase of a sanakey! Now let’s get stuck into learning how to use your sanakey. We call the sanakey “ the iPhone of pain relief devices”. With the latest European technology, this revolutionary handheld, non-invasive pain-relief device is intuitive and easy to use for fast and effective pain relief. Bonus: sanakey treatment downloads plus sanakey FAQ’s.